This spring, the HCRT will award Prize Books at seventeen high schools throughout our area, from Rocky Mount to Chapel Hill to New Bern. Prize Books are awarded to an outstanding student from a school's junior class who displays excellence in scholarship and high character, combined with achievement in other fields. This spring, the HCRT will award Prize Books at seventeen high schools throughout our area, from Rocky Mount to Chapel Hill to New Bern. Prize Books are awarded to an outstanding student from a school's junior class who displays excellence in scholarship and high character, combined with achievement in other fields. The books are generally presented at the end of the academic year, at the school's award ceremonies or graduation exercises, with remarks from a local Harvard alumnus/a. 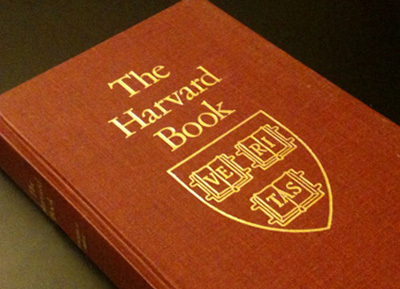 Prize Books are an important way for Harvard Clubs and SIGs to help attract the attention of talented young students to the opportunities at Harvard College.